It's officially the last minute to find that perfect Christmas Gift for the special women in your life, including your girlfriend, your wife, your mother and special friends! Give her a gift she will wear every day! Many women agree that diamonds earrings are a fashion basic, whether they are wearing jeans and a t-shirt or attending the most elegant affair. Versatile and full of life, a pair of diamond earring studs will fit any woman's Christmas list. 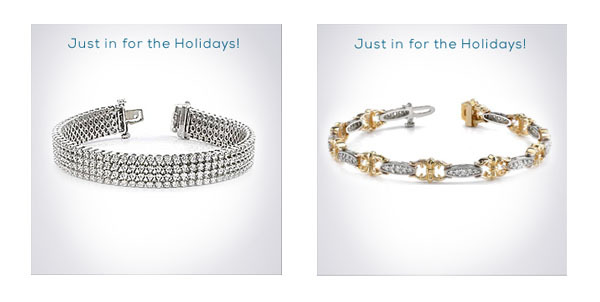 Diamond tennis bracelets are a classic choice for any woman who adores diamond jewelry. From the more modest styles to the designs with maximum bling, Hadar Diamonds has the tennis bracelet perfect for her personality. Available in all price ranges and sizes, these sparklers will light up her wrist for years to come. Contact us for select choices and sizes to receive in time for Christmas. 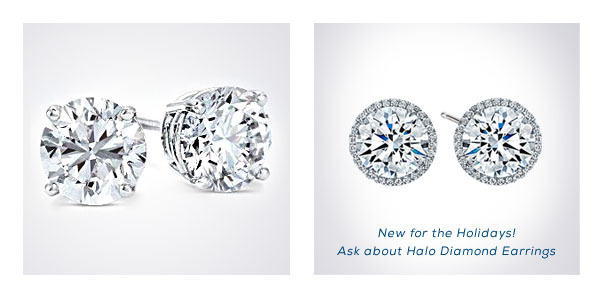 Browse our selection or call for Reserve diamonds and diamond jewelry today. Call 1-800-295-6676 or email us.